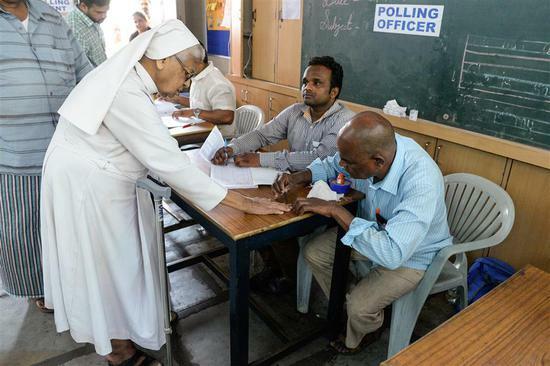 A polling officer marks the finger of a Catholic nun before voting in a booth at a polling station during India's general election in Hyderabad on April 11, 2019. The first phase of polling began at 7:00am local time, and will continue till 18:00pm local time. However, in other areas the polling timing will vary and end as early as 15:00pm local time.